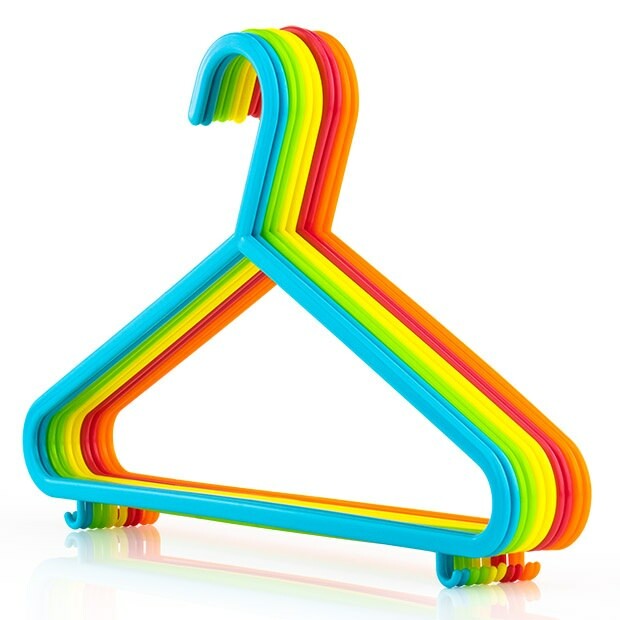 High quality plastic coat hangers with trouser bar. Lovely mix of bright colours including orange, pink, yellow green and blue. Smooth finish won't snag clothes. Lower garment hooks for loops and straps. Size: Width x Height 30cm x 18cm (11.5" x 7") approx. Perfect for my 4 month old's and 4yr old's clothes. Great bargain too .